Thank you for all the lovely comments on my blog anniversary. As I mentioned yesterday one of the joys of my first blogging year has been connecting with like minded people. When we stayed at Boscrowan in Penzance, Cornwall this April I was determined to take lots of photos and share its unique simple beauty on my blog. 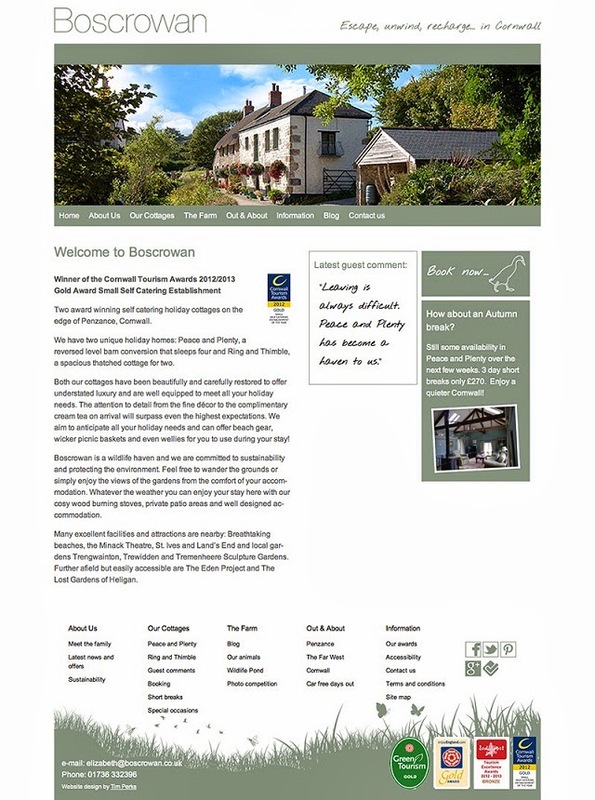 We have been regular visitors to Peace and Plenty, a beautiful barn conversion at Boscrowan Farm, for the last ten years. Of course, I had to ask permission first and mention that I was a blogger. 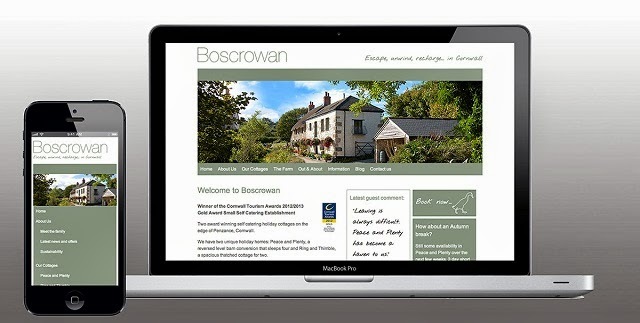 Elizabeth and David, who own Boscrowan, were very enthusiastic about the simplifying ethos of Just a little less and were keen for their values of sustainability to be promoted on the Boscrowan site. Before we knew it hubs and I were given the task of redesigning their website and bringing it up to date. Over the summer months we have been busy creating a fresh, modern and evocative website. Tim's design skills, my words and a few of my photos are all there to see. Now it has been launched we are very excited about the results. I just love the slide show and the animal graphics. The trouble is we now have a serious longing to return there - we have so much more exploring to do in this most beautiful part of the country. This was a dream job for both of us and also our first experience of working together. I'm very proud to show it to you. Thank you Elizabeth for this wonderful opportunity. See more here. It looks wonderful and I would love to visit there too! You must both be very please with what you have produced.